The objective of this analysis is to determine optimum parameters for maximum performance and minimum emission for biodiesel-fueled diesel engine. The experiments were designed using Taguchi L25 orthogonal array. Five parameters—fuel blend, load, speed, injection timing, and injection pressure—each with five levels were selected. Cylinder pressure, exhaust temperature, brake thermal efficiency, brake specific fuel consumption, carbon monoxide, unburned hydrocarbons, nitric oxide, and smoke were response parameters. Optimum combination of parameters was determined by grey relational analysis. The confirmatory test was performed at optimum combination. The grey relational grade and signal-to-noise ratio was determined. The contribution of individual parameter was determined by ANOVA analysis. Optimum performance was obtained at 80% load and 1900 rpm speed with B50 fuel at injection timing of 15.50 BTDC with 225 bar injection pressure. Finally, grey relational grade was improved by 3.7%. Optimization of the operating parameters is necessary to find the optimum solution from the raw data. The conventional energy sources are depleting day by day. Therefore the optimization of energy sources is the demand in the current perspective. The problems having incomplete information are considered as black, while the problems having complete information are considered as white. But neither of these ideal situations really exists. The problem having incomplete information lies between these two situations. Since there is always an uncertainty which means problem is always in middle between black and white. This is the reason that the problem is termed as grey and the analysis is called Grey Relational Analysis. The operation mechanism, behavior document and structure message such as the human body, agriculture, economy can be Grey Systems. Here grey means incomplete, uncertain and poor (Julong, 1989). 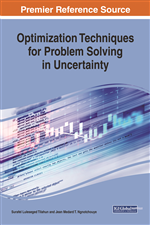 The Grey-taguchi method can be useful for optimization of multi response problems. Diesel engines are prominently used for power generation in industrial, agricultural and transportation sector because of their higher efficiency. However, diesel engines also produce more particulate matter, unburned hydrocarbons and oxides of nitrogen emissions than petrol engines. With increasing concerns about fast depleting natural reserves of crude oil and global climate change as a result of large amount of greenhouse gas emission, the efforts of researchers have been directed towards the use of eco-friendly alternative fuels from renewable sources. With these prime concerns environment friendly renewable sources of energy are being tried as an alternative to mineral diesel. Biodiesel has been recognized to be as one of such alternative. Biodiesel is “mono alkyl ester of long chain fatty acids produced from renewable lipid feed stocks, such as vegetable oils and animal fats”(ASTM Standards, 2016). The viscosity of neat vegetable oil is very high and causes many problems in fuel flow and there is also the possibility of injector choking, gum formation and lubrication oil dilution. Hence transesterification can be done to reduce its viscosity. Biodiesel is renewable and biodegradable. It contains no sulphur, no aromatics and also having a higher content of oxygen. Raw stocks used for biodiesel production in India are non-edible vegetable oils and animal fats. Jatropha, Karanja, Mahua, Neem etc. are main sources of non-edible vegetable oils for biodiesel production. The kinematic viscosity, density and heating value are the main properties of biodiesel that affect engine performance and emission characteristics (Barnwal & Sharma, 2005; Tesfa, Mishra, Gu, & Powles, 2010). The higher viscosity of biodiesel affects injection characteristics which results in poor atomization and mixing of fuel and air. Hence biodiesel has poor combustion characteristics which further affect performance and exhaust emissions from diesel engines (An et al., 2013; Gumus, 2010; Lapuerta, Armas, & Rodríguez-Fernández, 2008; Sahoo & Das, 2009b). The biodiesel and its blends results in reduction of unburnt hydrocarbons (HC), carbon monoxide (CO) and particulate matters. However, there is a slight increase in oxides of nitrogen (NOx) (N. Kumar, Varun, & Chauhan, 2013; Rajasekar, Murugesan, Subramanian, & Nedunchezhian, 2010). Graboski and McCormick (Graboski & McCormick, 1998) reviewed the combustion of fuel derived from fats and vegetable oils in diesel engines. The parameters mainly affecting the combustion of biofuels are fuel properties, flow properties, storage and stability. Biodiesel leads to increase in NOx and lower the PM and soot formation which is mainly due to higher oxygen content.